In March we were delighted to welcome Roy Cressey from the 'Yorkshire Ship Enthusiasts' group to deliver an illustrated talk entitled "Shipping of the Yorkshire Ouse". Roy, who was born in Goole, has had a lifelong interest in ships and has also spent all his working life in the shipping industry. This includes a thirty year stint as Shipping Manager for the Bellow Machine Company, the famous Leeds sewing machine manufacturers. He has spent his retirement years sharing his love of ships with appreciative audiences all over Yorkshire. Roy began by showing a photo of a warship berthed on the Ouse in York. He explained that York was the highest navigable point of the Ouse which over the years had played host to many different types of ships, delivering cargos from all over the world on a regular basis. Today we are used to only seeing pleasure boats plying the river in York, but that was not the case during the last century and before. Moving on from York, Roy spoke about the ship building industry in Selby and we were surprised to discover the range and size of ships built in what was a relatively small dockyard. He illustrated his talk with many images of ships built in the yard, describing their voyages and the different cargoes they carried. It was interesting to note how many ships, after a busy working life serving European ports, ended up in places like the Caribbean and West Africa. We really enjoyed seeing the images of boats being launched sideways at Selby, which resulted in huge amounts of 'splash' deluging anyone foolhardy enough to stand on the opposite bank to watch the proceedings. 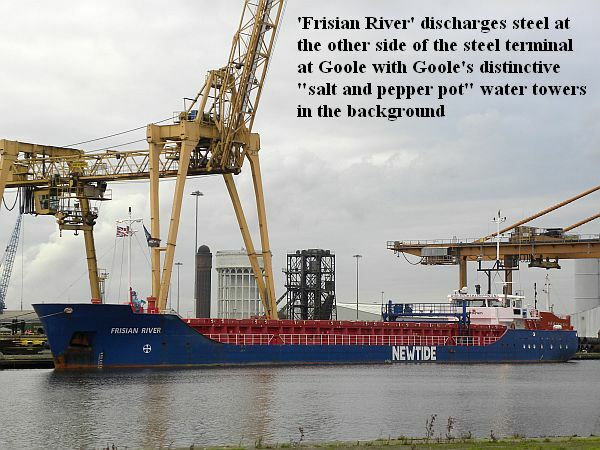 He also told us tales about boats regularly getting stuck under the railway bridge at Selby, leading to the closure of the railway line for several hours until the next high tide allowed the vessel to be refloated. 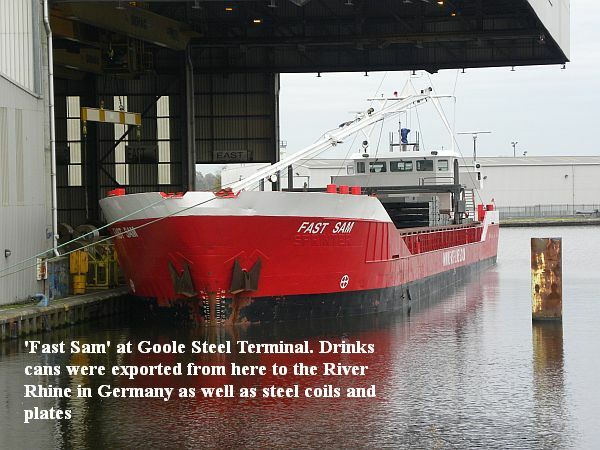 Perhaps the most amusing tale he told was when he talked about the port of Goole. Roy explained that in order to make port ships had to pass through the bridge, which was quite narrow and needed the expertise of experienced pilots to be safely navigated. In spite of the skills of the said pilots, Roy pointed out that the bridge had been damaged 15 times in 25 years by ships and had photos of the damage both to the bridge and boats. If a ship was unable to reach the port on one tide it would often remain anchored below the bridge until the next suitable tide. A ship was doing just that one evening, and all the crew except the youngest deck hand had gone ashore to sample the delights of the town's inns. The young man subsequently fell asleep and didn't wake when mischievous lads on the shore cut the mooring ropes. The ship floated away from the dock and, completely unaided, passed through the bridge successfully without hitting it. Amazingly, it travelled quite some distance without incurring or inflicting any damage before being finally being caught and re moored. The numerous images of ships and the entertaining anecdotes Roy told ensured a thoroughly enjoyable evening for us all. However, many felt that it was a shame and a little short sighted not to have kept these waterways navigable, as this might go some way to alleviate the congestion on our overcrowded roads and motorways. The next meeting on Monday 30th April 2018 will be an illustrated talk by David Teal from Barwick-in-Elmet Historical Society entitled "The History of Barwick Maypole"